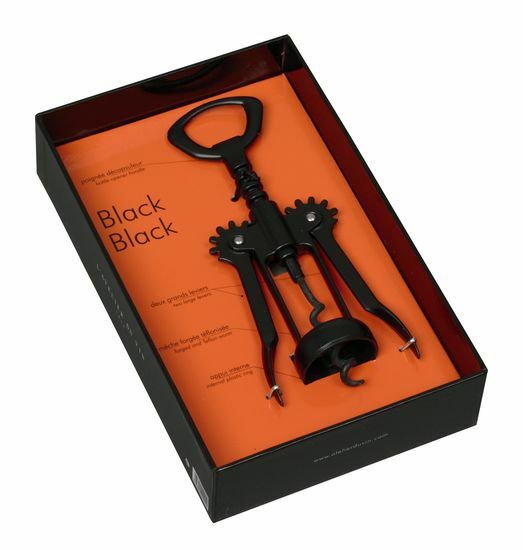 Classical tool since 1970 in L’Atelier du Vin’s range, the Black Black still remains timeless. Its special rounded, forged and Teflon plated 5 wires worm (invented by L’Atelier du Vin) grips any sorts of corks without tearing them. Its two large levers lift corks gently but firmly along centreline. Its internal plastic ring prevents the fragile bottle necks from chipping. 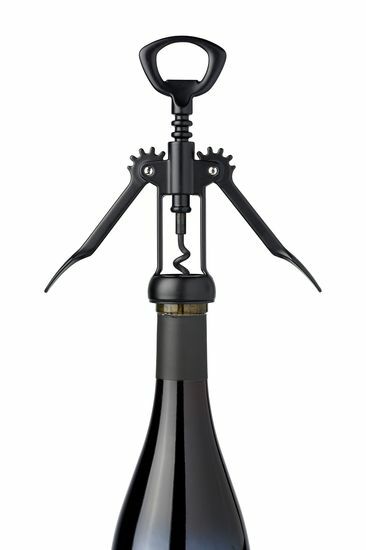 Its handle is also a bottle-opener. Its colour (mat black) is the ultimate sign of its elegance. Made in France.